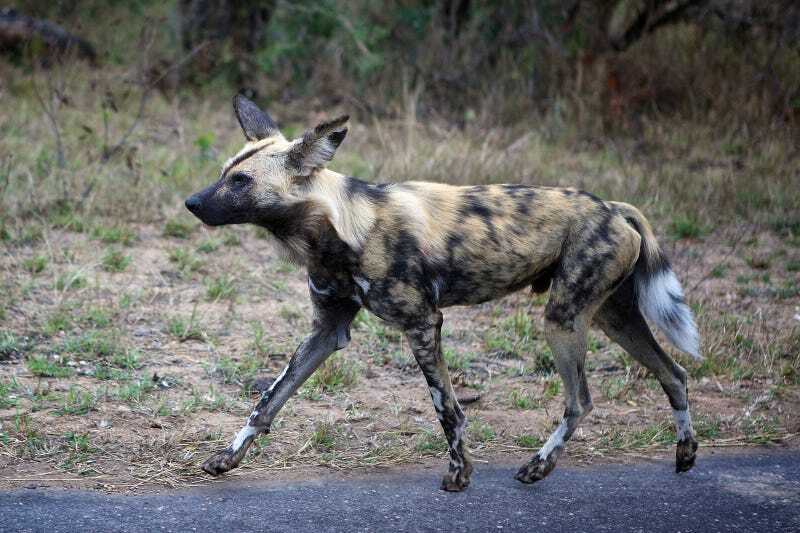 On Saturday morning, November 8 just before noon eastern time, Nat Geo WILD's cameras captured footage of a pack of African wild dogs, also known as Painted dogs, as they hunted and killed a pregnant impala. Towards the end of the footage the dogs can be seen removing the developing fetus from the carcass. "It's simply incredible that our WildEarth crew was there to broadcast such an extremely rare and extraordinary event to our audiences around the world," said Geoff Daniels, executive vice president and general manager of Nat Geo WILD in an official statement. "To be able to witness the circle of life unfold before our very eyes in such a dramatic way — live — was truly remarkable. It proves how compelling the natural world can be at any moment." Compelling and also, well, natural. When you're livestreaming video from the African bush (in this case, Djuma Game Reserve) straight to the internet, you can't simply edit out the uncomfortable aspects of nature. Nor, perhaps, should you. One final warning: this video is extremely difficult to watch. One thing that is particularly striking is the incredible intelligence and cooperation as these dogs work to get their next meal. That's also evident in the video below, which Earth Touch posted earlier this year, showing a pack of African wild dogs bringing down a kudu (with a brief interruption from a herd of elephants). Watching these animals in a zoo can be thrilling, but seeing them interact in nature is a different experience entirely. Header photo: African wild dog in Kruger National Park via John Morrison/Flickr.